EXUBERENTLY SOULFUL, MARGARET MOSER, AUSTIN CHRONICLE. Patrice Pike burst on to the music scene as the electric front woman for the seminal Austin jam band Sister Seven. She was honing her creativity as a vocalist and songwriter at Booker T. Washington School for performing and visual arts as well as the legendary music programs at the University of North Texas when she realized all of her mentors were graduating from programs and then trying to make a living on stage and in the studio. She left her entrepreneurial scholarship in the school bank account and started Little Sister that soon became Sister Seven. Soon after she co-wrote and sang Sister Sevens top 10 Billboard hit Know What You Mean. Richard Skanse for Rolling Stone called her "Tina Turner, Bessie Smith, Janis Joplin, and Robert Plant all rolled up into a tiny but explosive package." The legendary John Fogerty commented about Patrices great voice also in Rolling Stone and Billboard Magazine has called her, One of the finest up and coming contemporary Rock Singers in America. Following the highly publicized industry shake up at Arista Records with Clive Davis departure, Sister Seven disbanded and Patrice went on to begin her solo career with her album Fencing Under Fire in the top 10 most added on AAA radio for multiple weeks. 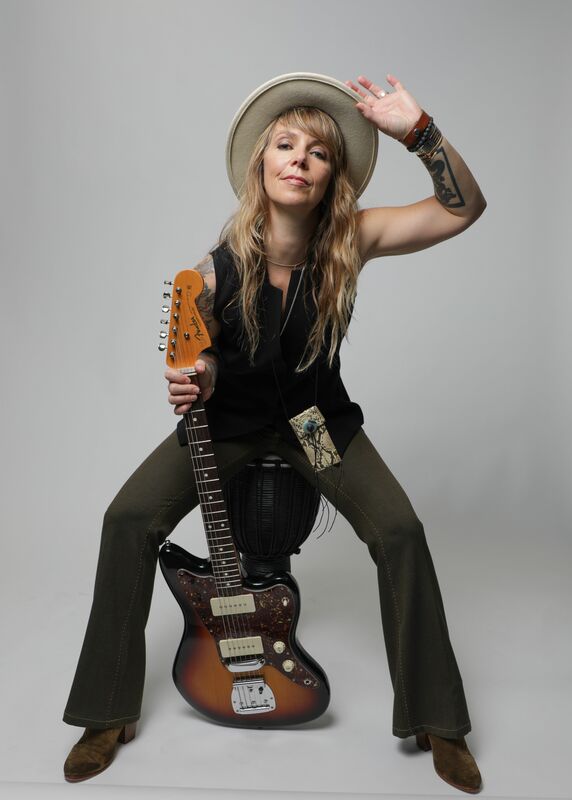 Her solo material has taken an increasingly narrative turn, while her sound has moved steadily in the direction of an eclectic mix of Rock and Soul topped with a tinge of World Music flavors. Patrice effortlessly moves from tightly woven rhythm guitar to percussion, to drum kit on stage never dropping a beat of her fierce but silky lead vocals. Over the past decade she has independently released five acclaimed solo records, showcasing her socially astute, literate lyrics alongside her powerful vocals. She has toured relentlessly, both in the U.S. and overseas, building an impressive grassroots fan base. In 2007 she became the youngest member of the Austin/Texas Music Hall of Fame, inducted alongside Lucinda Williams. The resilient Pike has been able to adapt repeatedly to a rapidly changing music landscape that bears no resemblance to the one she entered in her teens. She continues to grow and evolve as both a songwriter and a performer, as evidenced by her 2011 CD Live and Then Some! Brushwood Lounge-Volume 2. In Spring 2013 Patrice her album The Calling, which skyrocketed past the goal , Pike is filled with gratitude for the challenges that have refined her values, strengthened her humanity, and shaped her way of being in the world. An accomplished snowboarder and runner, she continues to travel the globe extensively. She has a disciplined meditation practice, and teaches certified Integrative Yoga Therapy for Charity. In short, she leads a rich, full, varied, exciting, rewarding life that looks absolutely nothing like what she was aiming for when she embarked on her journey in music. If you listen, you can hear each strand in her lyrics and in her voice. Twenty years in, she's much more than one of the most dynamic live performers in the world; she's an artist of substance with a compelling life story that is only beginning to unfold. Patrice is also Co-Founder of the Step Onward Foundation and has collaborated in raising over $450,000 for supporting education and housing and sustainability for young adult survivors of homelessness and children surviving critical illness in the last 10 years. “You can hear it in her voice. It isn’t the over-trained perfection of a vibrato-obsessed diva, but the supple-yet-strong twang of a country gal who has mastered her instrument. When she barks, when she pleads, when she seduces, it is with intent, and you feel what she wants you to feel. Pike is a veteran, having traveled with the famed Austin jam band Sister Seven, whose members eventually focused and polished themselves out of the noodling genre and into respectability — and then of course broke up just as they were hitting their artistic peak. “Patrice Pike will light you on fire. With nothing more than her guitar and her musical partner in crime, Wayne Sutton seated to her side, Patrice Pike filled the stage at Poor David’s Pub in Dallas on Saturday night. The lush, full sounds were enthralling. As she performed crowd favorite “Jackknife Girl,” it was hard not to think about how truly amazing what one girl and a guitar with one guy with a guitar can do. They filled the space with sounds as full and rich and inviting as any band five times their size. Jenny Block’s work has appeared in Cosmopolitan (Germany), USA Today, American Way, BeE, bRILLIANT, the Dallas Morning News, D, Pointe, and Virginia Living, as well as on huffingtonpost.com, yourtango.com, andellegirl.com.